Xiaomi today added a new flagship smart TV to its Mi TV 4S lineup in its home market, China. The biggest highlight of the TV is its ultra-large near-bezel-less screen that measures 75-inches diagonally. Apart from this, most of the specs of the Mi TV 4S 75-inch are same as its siblings – 42-inch and 55-inch models – that were announced earlier this year. Coming to the specifications, the Mi TV 4S 75-inch flaunts a 4K HDR LCD panel, which is aided by narrow bezels to give users immersive viewing experience. The screen bears a resolution of Ultra HD. The company claims that the TV comes clad in an aerospace-grade aluminium with brushed metal coating and silver-grey paint job on top. Under the hood, the Mi TV 4S packs 64-bit A53 quad-core processor accompanied by 2GB of RAM and 8GB internal storage. The Mi TV 4S 75-inch smart TV runs Android-based Xiaomi’s PatchWall interface with built-in voice recognition. The UI also offers easy access to more than 500,000+ hours of content and recommends online and offline content depending on the users’ TV-watching behaviour. There are no changes to the TV remote, which is as minimalistic as it can get. The remote features fewer buttons including voice search button, home button and volume rocker. Connectivity options include built-in Wi-Fi and Bluetooth. The audio department of the Mi TV 4S is handled by DTS-HD and Dolby audio track decoding for the enhanced experience. As for the price, the Mi TV 4S 75-inch costs RMB7,999 (~Rs 82,200). It will go for sale in China starting November 23rd onwards via Xiaomi Mall and Mi Home Stores. 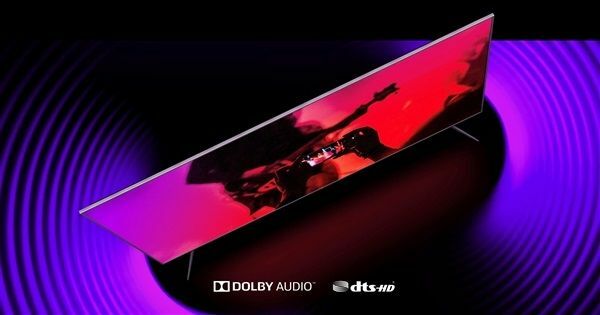 Xiaomi is yet to confirm if and when it’s planning to bring its Mi TV 4S-series to India.